If you want to get rid of the mice in your house without having to touch them or kill them this live trap is the ideal solution for you! 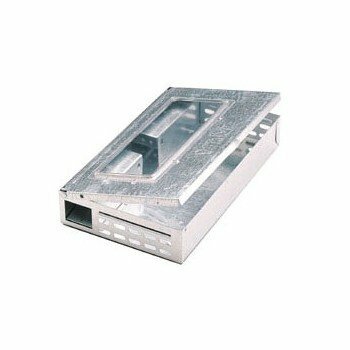 The Victor TIN CAT humane mouse trap allows you to catch and release mice without having to touch them. It catches up to 30 mice and is disposable or reusable, depending on your preference. Easy to set and bait, this live trap can be used around food, water, children and pets.